There is quite a bit of action going on here. 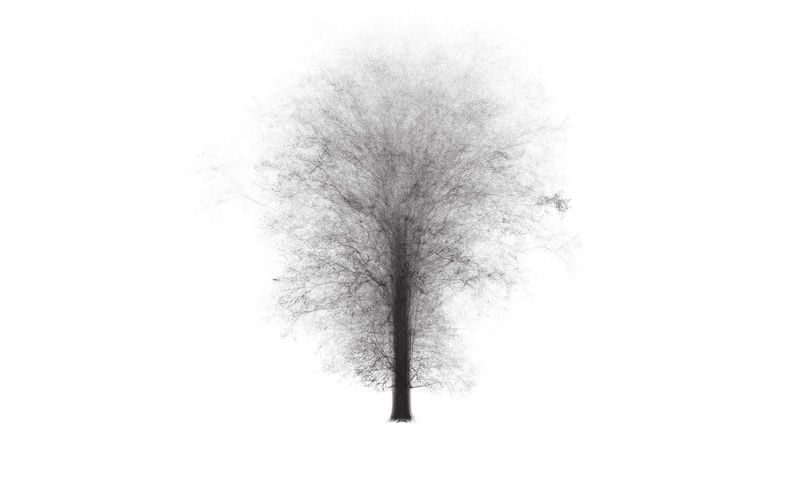 If this were not a site about trees, you might not know exactly what you were seeing. (It is a progressive horizontal section through one of our laser-scanned trees, C-1). What I see is some amoebic form adopting a strategy of divide and conquer as it advances into the surrounding territory and recursively expands its operations. Understanding that this is, in fact, a tree, what I see is an impressively complex, yet organized growth pattern. I see decisions made, resources sought and committed, and movement. I think it is somewhat amazing that we can go measure a tree, right now, in its relatively static, present state, and then produce an empirical representation of that tree which is at once totally accurate and yet is also capable of telling an allegory of that tree’s personal history of growth, battle, and general agency. We know this history occurred, but cannot measure it in the short term. Good thing it is baked into the branches. We don’t often think of it, but the story of the tree is almost impossible to ignore when we see an image like the one above. Perhaps it takes a gif or an animation, pushing the tree into a more (human-)comfortable temporal space, to draw out for us the agency so clearly mapped onto the topological structure of the tree. Just look at that thing! It is attacking the sunlight!